Aaron Franklin's Blog Update: Embracing Seasons. Embracing Change. The seasons were fierce where I grew up in Northern Wisconsin. Summers were warm, humid, and mosquito-infested, but they too quickly gave way to the crisp air and vibrant colors of frostbitten trees. Winter was not subtle with its arrival. Months of snow-covered landscape fought relentlessly to hold back the arrival of spring. As a little girl, I anxiously welcomed spring, prodding it along with the donning of shorts and t-shirts. I equally resisted winter, staving off the bulky coat and gloves until it became just too unbearable. Seasons meant change, sometimes welcomed. Sometimes not. 2014 was a season of change for me. Leaving a beloved job of nine years. Moving across the country. Selling my home. Finding a new one. Starting a new job in a new city. Saying goodbye to longtime friends. Arriving in a new town with no family and friends. Change—lots of it. When my husband and I sensed that God was calling us to this new adventure, I was initially quite resistant. If you’d asked me before this journey began, I would have been quick to say that I liked changed and I embraced opportunities to grow, but when growth and change required a significant season of disruption I wasn’t so eager to accept it. Ecclesiastes tells us there is a time for every season. That’s all well and good when the season is a comfortable one, but when I don’t want a season to change I’m reminded of how little control I actually have. There is a natural cycle that is beyond my scope of control. I can either be resistant and defiant, or I can accept the changing of the seasons and embrace the beauty of a new one. There is a natural cycle that is beyond my scope of control. In all the physical change that I experienced this past year, I have grown to value the changing of seasons. Ironically, I now live on the west coast where seasonal weather changes are much more subtle. I find myself more in tune to the slight chill in the air or scent of each season. As leaders, our seasons change too. There are seasons of momentum and growth. There are seasons of barrenness and toil. There are seasons where we birth new ideas and invest in the development of other team members. There are seasons of plenty and seasons of drought. There are seasons where I feel strong and confident, and there are seasons when I feel in over my head and completely incompetent. What season are you in as a leader? How do you react when a season changes? Do you embrace the change or resist it? At our best, we will be quick to recognize the turning of the seasons. Our willingness to embrace the rhythm of change is essential to not getting stuck or becoming ineffective. Our willingness to embrace the rhythm of change is essential to not getting stuck or becoming ineffective. At our worst, we will hold onto seasons of leadership too long. Unwilling to let go, we try to eek out just a little more from the season that we love, a season where we’ve flourished. But when we fail to release a season, we can miss the purpose of the one to come. While not every season of leadership means flourishing, there is a purpose in every season that we face. While not every season of leadership means flourishing, there is a purpose in every season that we face. As you anticipate the year ahead, what seasons can you predict? Is there a new season coming? Is it a time of growth or development for your staff? Is it a season for you to sacrifice your preferences for the sake of someone else? Is it a season of crucial conversations or difficult decisions? Maybe it’s a time of pruning where you are cutting away things that aren’t essential. Is it a season to humble yourself and learn something new? Is it a season for you to allow someone else to shine? If there is one thing that I learned from last year that I hope to carry over into this New Year, it’s the willingness and flexibility to embrace the seasons. 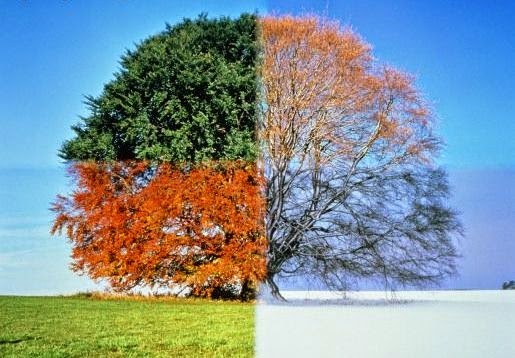 There is time for every season. Embrace them.